Tynan Brayden, the Earl of Westcliff, never expects his carefree life to be turned upside down when he rescues Lady Abigail Croft outside the Wicked Earls' Club late one evening. She isn't at all the sort of woman he is looking for right now, sweet, innocent, and yet when she rebuffs his assistance, he finds himself eager to see more of her. To his great irritation, he finds that she manages to bring out the good in him... and he has no desire to be good, especially not with her. Lady Abigail Croft is at the end of her rope, trying to save her foolish brother. The Earl of Westcliff's offer to help only complicates matters, for he is big as a gladiator and handsome as sin, and far too distracting. Her life is already in upheaval and she can't risk falling in love with Westcliff when she knows he will only crush her aching and vulnerable heart. Or will he? 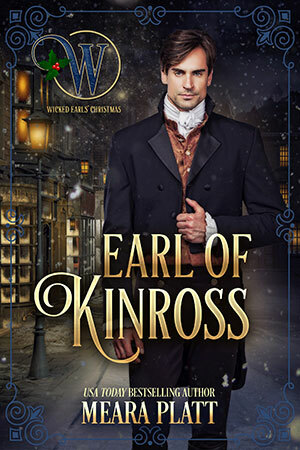 Look for this Wicked Earl to release in time for Christmas 2019.